Ever stumble across a little thing that is both affordable and enjoyable/useful? When I do, I get so giddy it’s ridiculous. 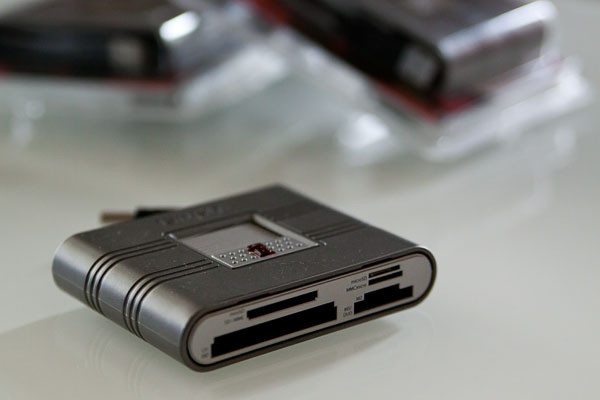 😉 Today I am talking about one such item: the Kingston card reader. For a LONG time I used the USB cord that came with my camera to upload pictures from my camera to my computer. When I went to Savannah last year, all the other photogs had snazzy little card readers and I started thinking “what’s the big benefit?” So, when I came home, I started doing some research and basically the main reason card readers are advantageous is because of the speed the pictures can be uploaded. After finding out the benefit of a card reader, I went shopping for one. I found the Kingston card reader at Amazon and was first incredulous that it could be any good because it only cost $16 (it is now $13). However, the wonderful ratings it had convinced me to give it a try. Wow! Was I surprised at what a little treasure I had! It was super easy to use and pulled the pictures from my card very quickly! 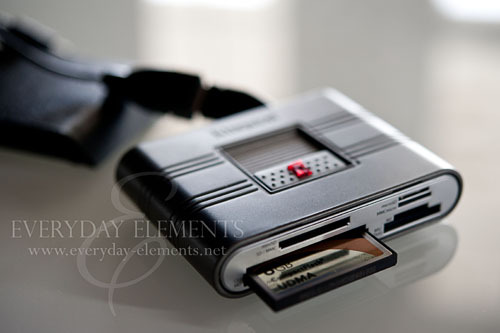 The reader takes multiple memory card types, including those most used by DSLRS: SD and CF (compact flash). Above you can see my Lexar Pro CF card in the reader. 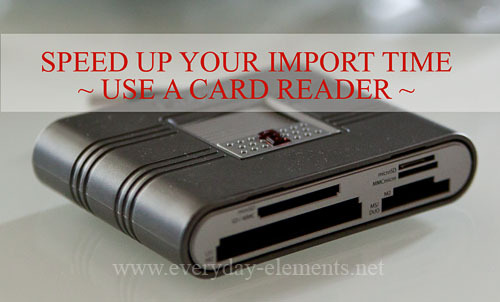 Once you connect the reader to the USB cord (that comes with it), or put it in the USB port in your laptop (there is a cord for those who need extensions, like me, or just insert the short attached cord to your laptop), a dialogue box will likely open up and you can choose the program you wish to use to import. Above you can see that I am given the choice of two Organizers (because I have multiple PSE versions on my PC), Adobe Bridge (for CS5) and Lightroom. After selecting, just import as you did before. See the two readers in the background of the above images? Those were purchased by me, to give to TWO lucky winners from today’s giveaway! I have them ready to ship out as soon as the giveaway ends. I am in the process of identifying the winners and emailing them. To enter to win one of the two readers, simple tell me if you (primarily) edit on a desktop or a laptop. For example, I have both a desktop and a laptop, but the majority of my editing is on my desktop, so my answer would be desktop. Disclaimer: The Amazon links included in this post are affiliate links, meaning I earn up to 4% on sales made on the item or other items purchased when the link is used. I appreciate purchases made through these links because they help me pay for the giveaway prizes I personally provide here at Everyday Elements. I edit on my laptop! I use my desktop primarily. Thank you and good luck to everyone! Hi! I edit on my desk top. (on a new iMac that i <3) Thanks for doing the give away!! Laptop, but would probably rather do it on a desktop. I do all my editing on my laptop. have both, but laptop is the main one. I edit on my desktop! Thanks! I edit 100% on my laptop. It’s “my computer” and has all my textures, actions, etc on it. Ok, here goes!!! I have a laptop. Thanks so much for the chance!!! I edit primarily on my desktop, unless I’m away, in which case I use my laptop. My lovely 27 inches iMac totally changed my life and my editing time. Thank you for a chance to win!! I do all of mine on my tiny laptop. I am coveting a new Mac with a big screen! I do everything from my laptop, actually the only computer we have at home! I always edit on my laptop. I use a laptop exclusively for editing. Thanks for the chance to win a card reader. Will it also do the dishes? I edit all my photos on my desktop. Where has this little gadget been all my life. Takes me forever to d/l my pics, thank you for this great giveaway! I edit on my desktop. This sounds like it could make life so much easier!! Always on the desktop (iMac). Thanks for the giveaway! I use my desktop, PC. This would be a nice addition as I use two cameras and can’t seem to find one or the other of the cords when I need it. End up taking the card to a photoshop where it can be put onto a disk. I edit primarily on my desktop but will soon be moving over to my new laptop. Yeah! I edit on my desktop. 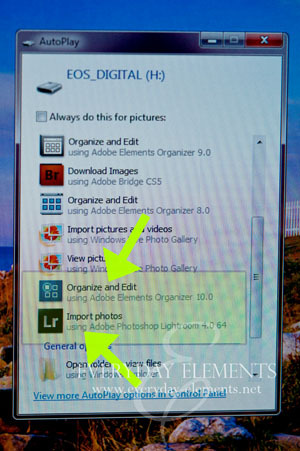 I have both but edit in PSE on desktop. Glad I finally got around to reading my blogs! I use my laptop with PSE to edit my pics! Thanks for the opportunity!